OnePlus is one of the increasingly-rare few manufacturers out there that still manage to get most of us over at the office genuinely hyped. Don’t get us wrong; there are many devices which have the power to charm and impress, but few can do so while offering such a great value. It is important to note from the get-go that the OnePlus 3T is a mid-lifecycle "refresh" - a practice that is becoming increasingly popular. The thing with that, however, is that it is often a two-way street in the sense that it can easily be either beneficial of detrimental to the end-user, without that being apparently obvious. 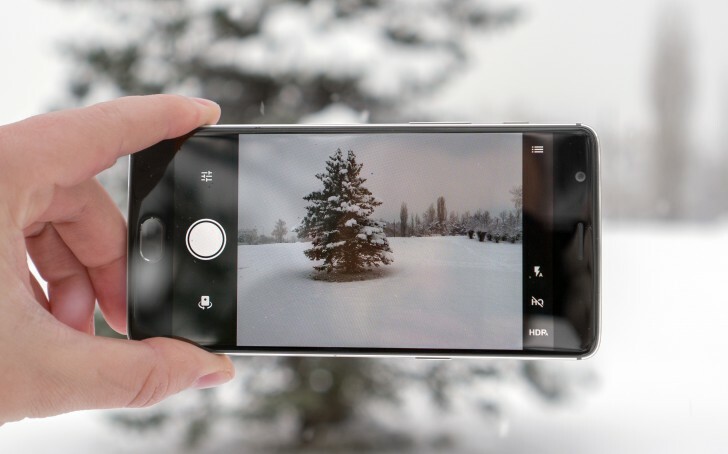 You almost always have to pay a price premium to get the new model, so you have to exercise extra caution when determining whether you are getting your money's worth. .
With the OnePlus 3T you get a slightly faster CPU, a bigger storage option, a better selfie camera and larger battery. All for an EUR 40 premium. You can clearly see a parallel with the recently released Oppo R9s, for example. There, you pay EUR 50 or so more over the F1s or R9, and you get back a few things a more efficient chipset, a new camera, and a bigger battery. The value part of this question obviously comes down to personal taste. However, once the original OnePlus 3 stock is depleted, the OnePlus 3T is all prospective buyers will be left with. So, that provides a bit of an extra incentive to decide whether the added features are worth the price premium. Or is this just a case of supplier, marketing, and customer support realities catching up to OnePlus and forcing the OEM to do some price correction, masked in fancy marketing tactics ? If you've seen the original OnePlus 3, you've seen the OnePlus 3T. Nothing has changed in the phone's appearance, except that now you have a Gunmetal color option in place of the Graphite one. This isn't a criticism either since there is a lot to like about the design and is a fan-favorite. 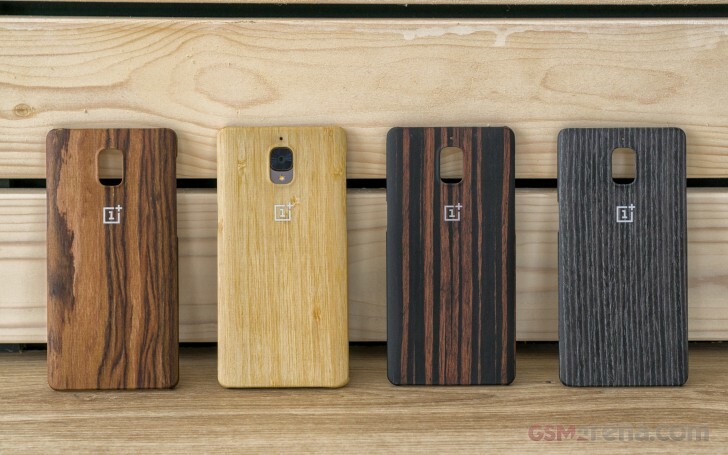 The 5.5-inch Optic AMOLED panel is thankfully something OnePlus decided to carry over. It is a great-looking screen with amazing contrast, infinitely deep blacks, a power-efficient attitude and a surprisingly well-calibrated factory color setting. Or, at least, that was the case with the OnePlus 3. You'll have to stick around for the full review to see how that part carried over. The 1080p resolution might still be off-putting to some, but we stand by our belief you don't need more pixels on a screen this size and what you do get, as a bonus, is better battery life and 3D performance, all around. The main chassis of the OnePlus 3T is one seamless piece of precision-cut aluminum. The uniform surface is only broken by the pair of antenna lines on the back. 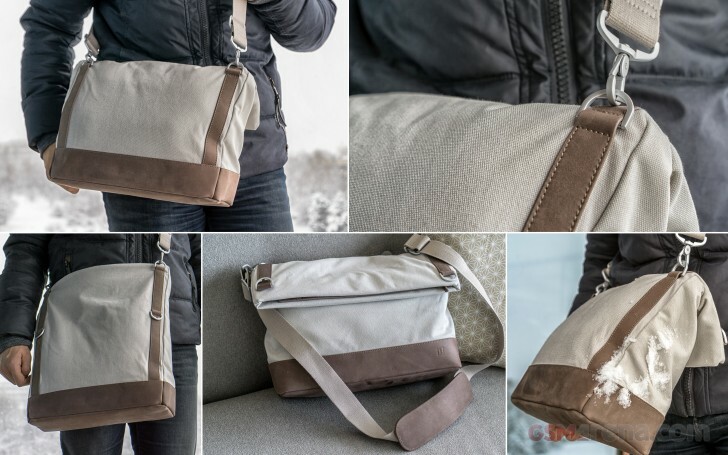 There is a nice brushed feeling to it, which fits in with the new Gunmetal color. If you are not familiar with the OnePlus 3, there are a few other things to note about the design as well. The front-facing fingerprint reader is actually not embedded in a button. It is simply a slightly lowered surface. It still provides enough of a tactile feeling, especially when you factor in the added haptic vibration. 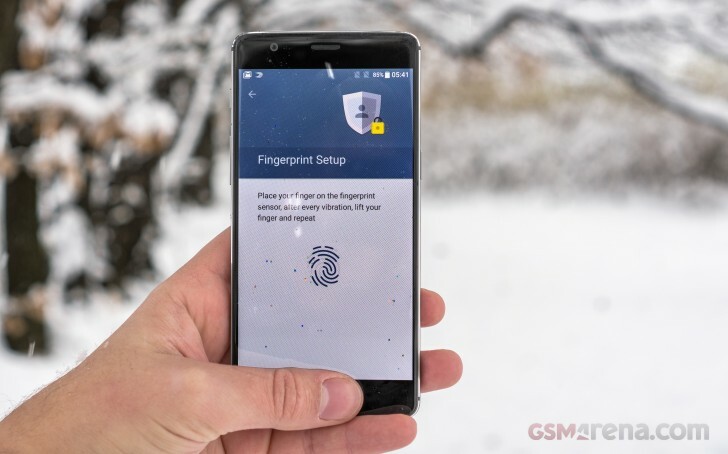 The fingerprint sensor is always on - it works great and is quick and accurate. On either side of the Home key, there is a pair of capacitive controls. These can be remapped and even turned off entirely. Another noteworthy input control on the OnePlus 3T is a 3-step slider on the left above the volume rocker. It has a tactile textured finish and is used to toggle between normal ringing mode, do not disturb and silent. It is quite an easy thing to get used to and surprisingly uncommon in the Android realm. You also get a single speaker on the bottom, along with a USB Type-C port and a 3.5mm jack. Since the OnePlus 3T appears identical to its predecessor, it is up to the internals to tip the scale and convince prospective users that the refresh is worth the extra money. However, changes aren't really that many in this department either. We already mentioned you get the same display panel and powering it is what essentially is the same Adreno 530 GPU. It is slightly overclocked compared to one used in the Snapdragon 820, which should probably have a positive effect on the overall performance. But, we can only judge on that once we complete our full review. The Adreno 530 in question also comes as part of the new Snapdragon 821 package. 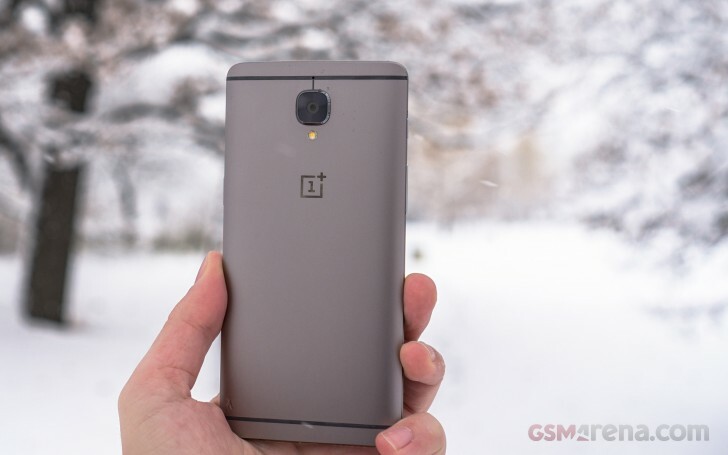 Just like the 820 powering the older OnePlus 3, the processor is based on an efficient FinFET 14nm process and has a total of four powerful Kryo cores. Once again, however, the devil lies in the details. You do get a slight bump in the frequency of two of the cores, as well as a wider bus for communication with the RAM, of which there is plenty of. The other notable hardware improvement you get for the extra money is the bigger 3400 mAh battery. 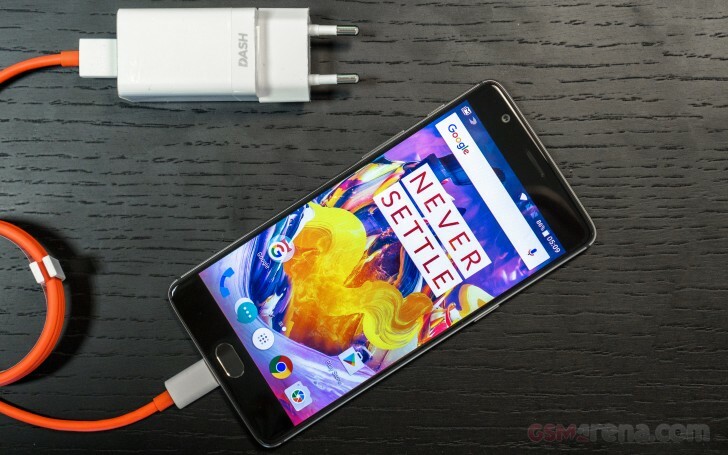 OnePlus has managed to achieve the seemingly impossible by upping the battery capacity, without a nudge in the size of the device. 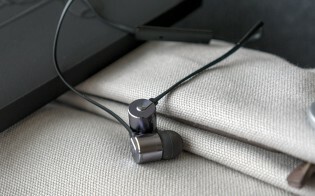 This is reportedly owing to using a denser cell technology and is an "all-win" addition to the mix. 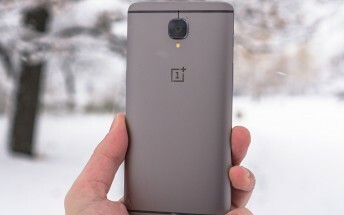 Contrary to previous rumors, OnePlus has decided to stick to what it knows in the main camera department. 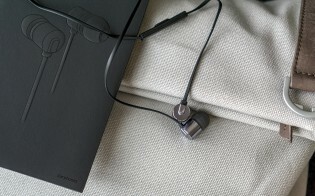 In this case, this would be the Sony IMX298. While far from Sony's top-of-the-line offer, it has powered some quite impressive camera experiences in the past. This includes the snappers on devices like the Huawei Mate 8, Xiaomi Mi5, Oppo R9, vivo XPlay 5, Nubia Z11 and, let's not forget, the OnePlus 3. There are OIS and PDAF to make the experience even better. OnePlus did add some software improvements to the mix as well. The Auto HDR has been vastly improved and so has the Manual Mode. Also, the OEM's new EIS 2.0 system, which works perfect for videos, up to 1080p. For stills and 4K clips, you still have OIS to rely on. That being said, the refreshed model does the same top job at capturing both photos and videos as its sibling. Resolved detail is plenty, while noise is kept to a minimum. The color balance is decently accurate, with a slightly warm tint from time to time. We really can't ask more from a value-oriented handset. 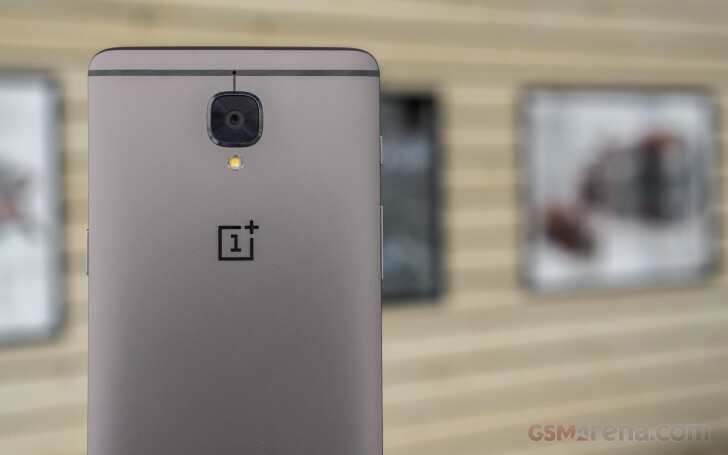 On the selfie side, OnePlus did decide to throw in some new tech. 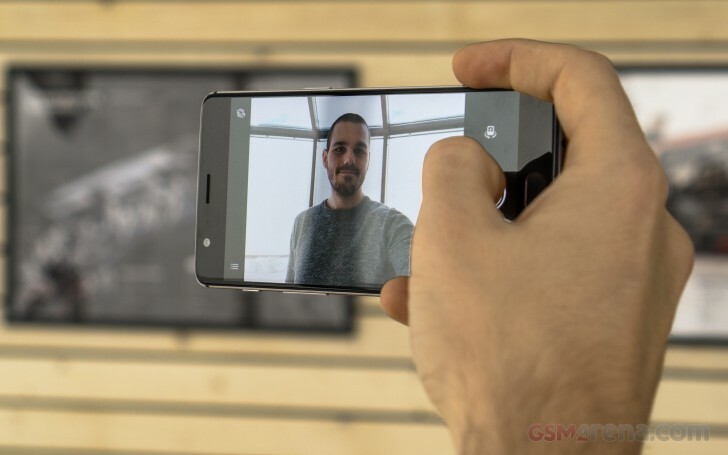 The front-facing camera has been bumped up to 16MP, with an aperture of f/2.0 and a 1.0 μm pixel size. OnePlus also boasts an HDR-like system for combining pixels together and capturing more light to improve detail in poorly-lit conditions. The overall quality improvement is definitely there, compared to the 8MP, f.2,0 camera on the OnePlus 3. The OnePlus 3T is still an amazing device. Even with the price premium in place, the value is still there, and we doubt anybody would mind having a bigger battery, a faster processor or better selfie camera. Then again, the regular OnePlus 3 is an amazing device as well and one that came out even cheaper (and it still is, while supplies last). We definitely wouldn't turn any of these two phones down, so the only question that remains seems to be whether OnePlus went for an increase in price out of necessity. OnePlus has built a business around a certain type of attitude towards customers, and while that is naturally going to change along with the company’s scale, we would hate to see the "never settle" attitude fade away. To paint an even fuller picture, we will also add that OnePlus has been working hard on its expanding style accessory business as well. All the Guerilla viral marketing over the last few years is now definitely paying off by creating an image for the company that we can only describe as uber-cool. 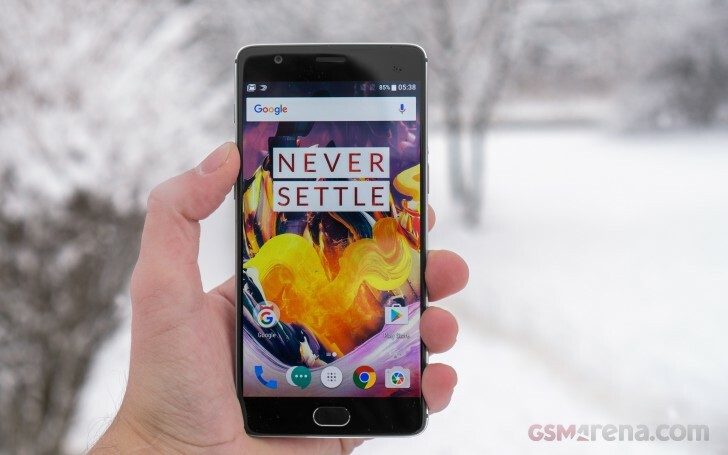 OnePlus has worked hard to earn the appreciation of its fan base, which on its own has made the lucrative side-business possible. Still, at EUR 99 for a bag and EUR 20 for a shirt, their items are anything but cheap. They surely have a "hipster" side to them that goes hand in hand with inflated prices. In any case, there is nothing wrong with going down this route as long as they keep their devices affordable. Hopefully, we can dissect both the OnePlus 3T and the company’s current state of affairs in greater detail in the full review - we're already hard at work. Until then, feel free to weigh in with your feelings on the handset and the OnePlus legacy in the comments.